Canberra to Melbourne Removalists. Driving the 661 km non-stop from Canberra to Melbourne takes almost seven hours. Moving all your belongings over this distance can easily take double the time. While a move can be exciting, it’s often stressful as well. You have many aspects to handle such as finding and organising a new home, settling into a new job and dealing with new opportunities. 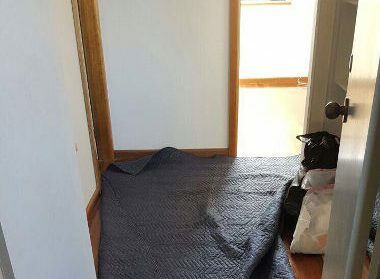 Fast Removalists are the best Canberra to Melbourne Removalists that can help take the anxiety and stress out of moving. Making an interstate move like the one from Canberra to Melbourne involves careful planning and preparation. But why worry when you have experienced removalists like us to guide you through the moving process? We have been providing excellent services to both commercial and residential customers for decades. Our company has all the systems needed to orchestrate stress-free, organised moves at highly competitive rates. You can get a rough idea of the cost of your move, by using the removalist cost calculator on our site. Simply call us later to get a more detailed quote for the removal. Canberra to Melbourne Removalists – why hire professionals? Rather than take on the challenging task of packing and moving all your belongings, yourself, simply allow the experts to handle this job for you. 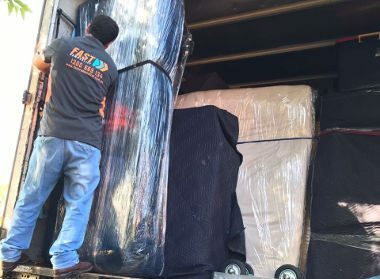 Our high quality Canberra to Melbourne movers will ensure your furniture and belongings are packed well and moved safely. We help you arrive at your new home in a stress-free manner and with no damage or loss of items. Full-service removals – Many of our clients are just too busy to manage any aspect of their move. Our full-moving services by safe interstate removalists are built to cater to this need. As part of this service, we will pack every item carefully, provide all the packing materials and label and box everything meticulously. 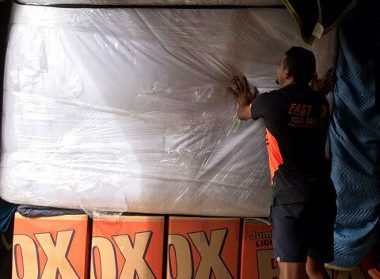 Once the shipment has been transported to your new home in Melbourne, everything will be unpacked and placed where you need it. All you have to do is move into your new home without having to deal with any stresses and strains. Partial move – If you prefer to handle all the packing and unpacking without professional assistance from us the partial move option is perfect for you. In fact, this service works well for clients on a budget as they are able to save on packing & unpacking costs. 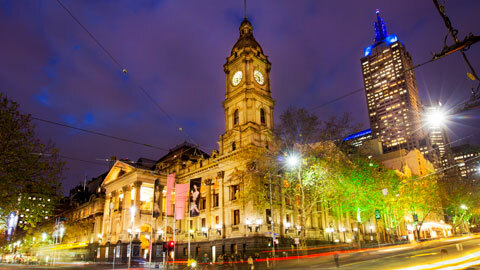 But we handle everything else and you are assured of secure and safe removals Canberra to Melbourne. Cheap interstate backload company – Moving trucks come in various sizes, but a large majority of interstate moving vehicles are massive large trucks. They are capable of easily transporting more than just a single one load at a time. 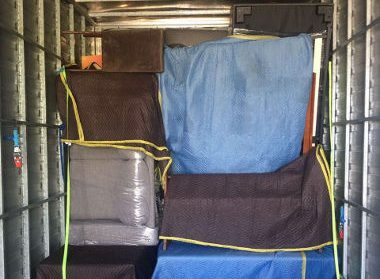 As affordable Canberra to Melbourne movers, we offer clients the backloading option. This is a very cost-effective way of moving across state lines. In this service, you need to pay only for the amount of truck space your load requires. You will be charged only for that space as the rest of it will be shared with other clients that are moving to the same destination. We have a very large network of heavy hauling moving vehicles and this enables us to provide excellent backloading services to our clients. Furniture removals aren’t easy; some pieces can be very bulky and heavy and need to be dismantled before moving. We have a skilled and professional furniture removalist team that will carefully disassemble large furniture, and pack all the components individually. 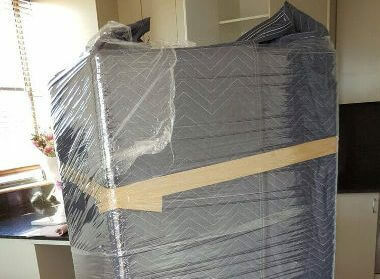 Other pieces of furniture will be packed in sheeting blankets so they don’t suffer any damage during the move. At the destination point, our experts will reassemble all the furniture and place it in the appropriate rooms, ready for use. When you start looking online for best removals Canberra to Melbourne, you will find a number of companies showing up in the search. But how can you be sure the operator you are hiring is really the best? While many companies advertise they offer affordable services, most also compromise on quality and cut corners in their work. This substantially increases the risk of loss or damage to the shipment. You need a removal partner that understands your needs, customises services and makes sure the solutions fit your budget. We have been operating in this space for over two and a half decades. Our company has the logistics, experience, project management expertise, and resources to handle your move perfectly. Our aim is simple- to provide you the best moving experience at very cheap interstate removalists cost. We never compromise on quality. 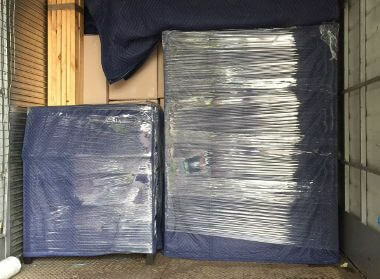 Only the best packing materials such as furniture blankets, bubble wrap, packing peanuts, no-ink paper, tape, labels and sturdy moving boxes will be used in the work. In addition, our movers use ropes, pulleys, ramps, trolleys, and secure anchoring systems during the removal. Use of the best tools and equipment significantly improves efficiency levels and enables us to move all the small and large items safely. All our packers and movers are qualified and highly trained to handle moves of all sizes and complexity. We offer safe and secure short-term storage facility if you need it between moves. As a professional furniture removalist with insurance, we make sure your interests are covered, in the rare occurrence of loss or damage to items. Every job is handled with attention to detail; our movers work speedily yet safely and efficiently. They will handle all your possessions with utmost respect. All your belongings will be transported to the new location in the same condition they left your older home. Your search for professional interstate removal companies ends at Fast Removalists. We pack, move, haul, transport, unload and unpack with professionalism. For any more information about our tailored Canberra to Melbourne Removalists solutions, feel free to call us today.